There is a section on our website that reads: "The history of Sovereign Grace cannot be told without the stories of existing churches being led by God to join us in our partnered mission through the experience of adoption." For many years, we have been blessed with stories of adopting existing churches into our family. It requires a careful process that is distinct from church planting. But when God has allowed us to walk out and complete a process of adoption, the blessings have been numerous—on both sides of the story. 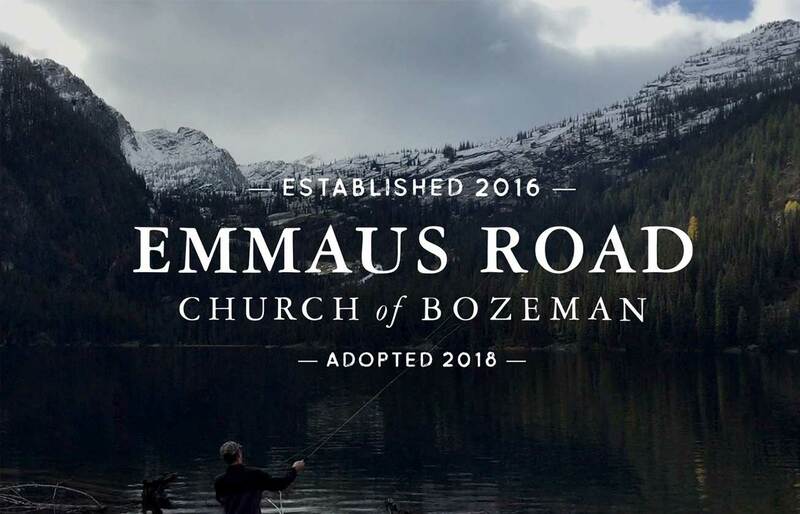 Our most recent adoption is of Emmaus Road Church in Bozeman, MT. Senior Pastor, Joel Carlson, has carefully walked a road of seeking to discover whether his church and Sovereign Grace was a good partnership. One of the things I love about this story is the involvement of so many other churches and pastors in Sovereign Grace. Joel and his wife, Jessica, attending Living Faith Church in Franklin, WV. Steve Teter and Josh Blount have helped Joel in discerning next steps for his local church. Greg Dirnberger, Senior Pastor of Emmaus Road Church in Sioux Falls, SD has relationally connected with Joel and helped in connecting he and his church to Sovereign Grace. It’s all a wonderful expression of partnership. I wanted you to have an opportunity to hear directly from Joel. Our newest mission video is about their journey, where they are planting and how they hope God will use them in Bozeman. Please take time to watch this video, praying for Emmaus Road Church and consider giving. You can find information on how to give here.